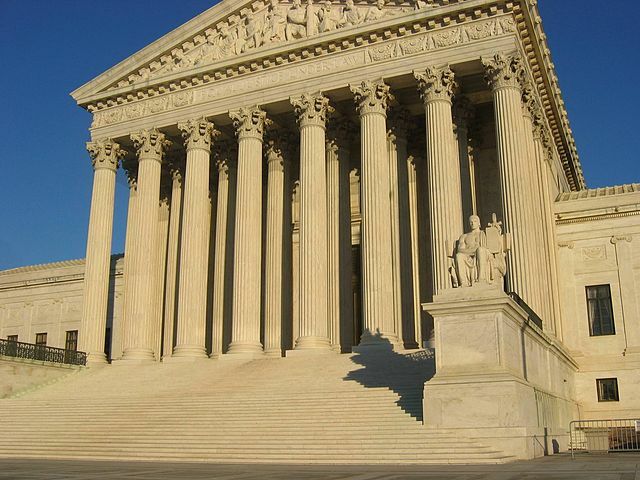 In a 6-2 decision, the Supreme Court held yesterday that a company may not retaliate against an employee who orally “filed a complaint” about perceived Fair Labor Standards Act (FLSA) violations. After the jump, I’ll break down this decision, just what it means to orally file a complaint, and the impact yesterday’s decision will have on employers. The case is Kasten v. Saint-Gobain Performance Plastics Corp. You can find a copy of the opinion here. The facts Kasten are fairly straightforward. Kasten claims that he orally complained that Saint-Gobain located its timeclocks such that workers were not receiving credit for the time they spent putting on and taking off their work clothes – contrary to the FLSA’s requirements. Kasten says that Saint-Gobain discharged him because he orally complained to Saint-Gobain officials about the timeclocks. What does “filed any complaint” mean? to discharge or in any other manner discriminate against any employee because such employee has filed any complaint or instituted or caused to be instituted any proceeding under or related to [the Act], or has testified or is about to testify in such proceeding, or has served or is about to serve on an industry committee. The sole issue for the Court was whether “filed any complaint” includes oral as well as written complaints. Turning first to the dictionary definition of “filed,” the Court determined that “filed” has many different meanings in many different contexts. Sometimes filings are oral. Sometimes filings are written. Given the potentially broad interpretation of the word, the Court could not reach a conclusive answer to its interpretive question. So, what did Congress intend for “filed any complaint” to mean? Better question. Easier answer, according to the majority. Why would Congress want to limit the enforcement scheme’s effectiveness by inhibiting use of the Act’s com­ plaint procedure by those who would find it difficult to reduce their complaints to writing, particularly illiterate, less educated, or overworked workers? To limit the scope of the antiretaliation provision to the filing of written complaints would also take needed flexi­bility from those charged with the Act’s enforcement. It could prevent Government agencies from using hotlines, interviews, and other oral methods of receiving com­plaints. And insofar as the antiretaliation provision cov­ers complaints made to employers…, it would discourage the use of desirable informal workplace grievance procedures to secure compliance with the Act. Ultimately, the Court opined that a complaint is filed when a reasonable, objective person would have understood the employee to have put the employer on notice that the employee is asserting statutory rights under the FLSA. What is the impact of Kasten on employers? Not as great as one might think. Why? Because although the Court held that Kasten’s oral FLSA complaint to his employer, Saint-Gobain, triggered the statute’s anti-retaliation provisions, the Court declined to decide whether a private employer, generally, can retaliate against an employee who orally complains to that private employer about a purported FLSA violation. Saint-Gobain did not advance this argument before the Supreme Court. In his dissenting opinion, Justice Scalia opined that the FLSA retaliation provision only contemplates “an official grievance filed with a court or an agency, not oral complaints — or even formal, written complaints — from an employee to an employer.” Therefore, the issue of whether the FLSA anti-retaliation provision covers employee oral complaints to employers generally will be left for the lower courts to decide. Until then tread very carefully. And document, document, document. Make a practice of having employees document their complaints. Document employee complaints when employees don’t commit complaints to writing themselves and have employees sign off on each complaint. And make sure your supervisors know how to address employee complaints. And don’t fire an employee because he complains about FLSA violations.